Sign says apartments for rent at 2270 Frederick Douglass Blvd in Harlem | HarlemGal Inc.
What was once an abandon lot is now the home of luxury rental apartments at the corner of 122nd and Frederick Douglass Blvd in Harlem. This is a common scene in Harlem. If there’s space in Harlem, developers will build on it. Now there’s a brand new rental building at 2270 and 2272 Frederick Douglass Blvd. Their website is 2270FDB.com Here’s how the space looked awhile back! 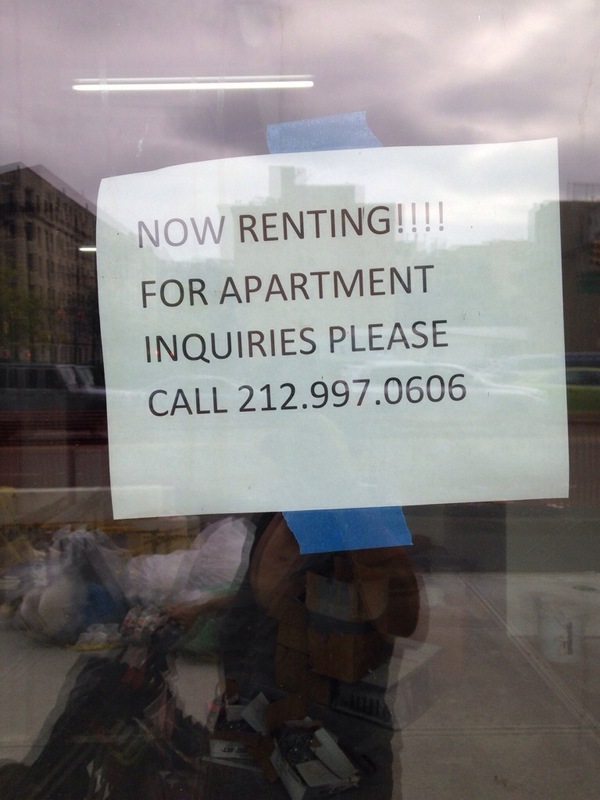 Little paper signs are posted on the commercial space at 2270 FDB saying now renting, for inquires call 212-997-0606. The website says there’s still availability. 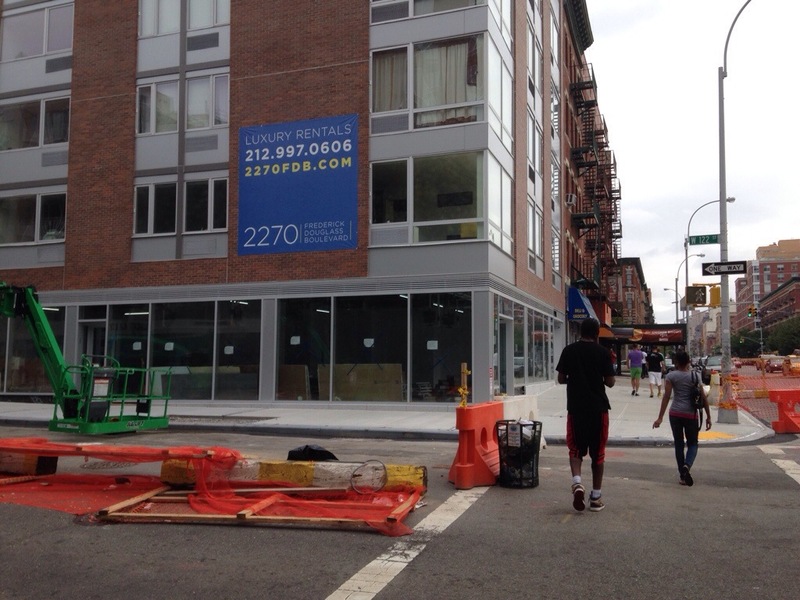 If interested in renting in this new Harlem building, give that number a call or email 2270fdb@gmail.com! This entry was posted in apartments, Frederick Douglass Blvd., Harlem, Harlem bloggers, Harlem blogs, Harlem real estate,, HarlemGal, real estate, Where to live in Harlem and tagged 2270 frederick douglass blvd., 2272 Frederick Douglass Blvd, aparments, Frederick Douglass, Frederick Douglass Blvd., Harlem, Harlem Real Estate, rental apartments, where to live in harlem. Bookmark the permalink.